Mark Stewart is one incident away from becoming a juvenile delinquent, and his parents have had enough. They ship Mark off to London, England, to stay with his eccentric aunt Agatha who is obsessed with all things Jack the Ripper. After a strange twist of luck, Mark is struck by lightning, and he wakes to find himself in 1888 Victorian London. His interest in a string of murders Scotland Yard has yet to solve make him a likely suspect. After all, why would a young boy like Mark know so much about the murders? Could he be the ripper they've been searching for? Convinced the only way to get back home is to solve the murders, Mark dives headfirst into uncovering the truth. Mark's only distraction comes in the form of the beautiful Genie Trembly, a girl who is totally out of his league and who may have already caught the attention of the infamous ripper. To save her, he'll endanger both their lives, and risk being trapped in the past forever. 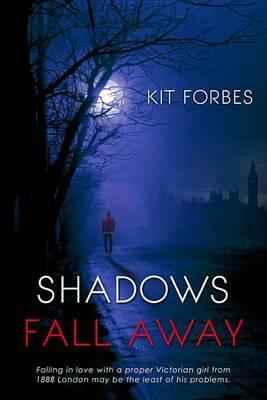 Kit Forbes has been a lover of books, history, and all things paranormal for as long as she can remember. She lives in Pittsburgh, Pennsylvania.